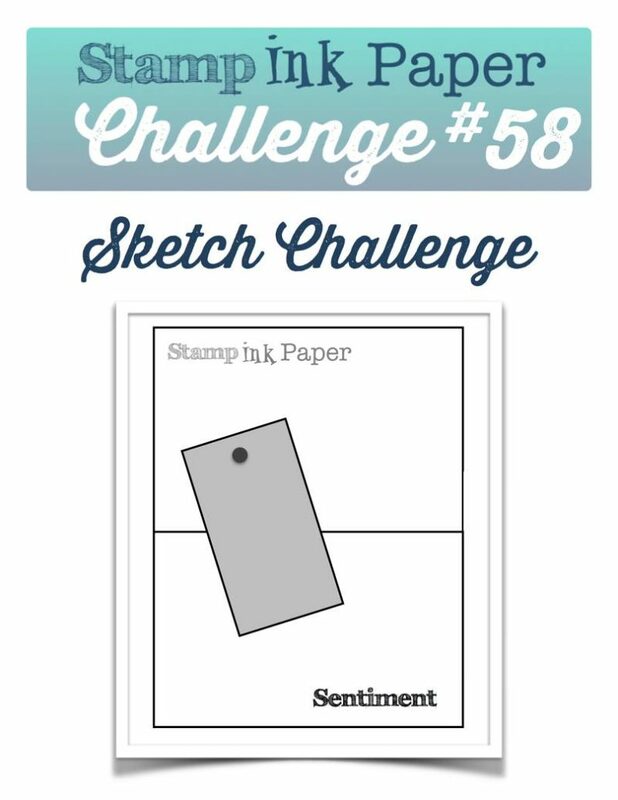 SIP Challenge 58 – A Sketch from Lisa! Home / Blog / SIP Challenge 58 – A Sketch from Lisa! Well that was an interesting Monday! When I arrived at the Stamp, Ink, Paper Store there was no electricity! Renee had a class at 11:00 and the troopers that they all are they came and scrapbooked! Thankfully there was just enough light to let them sit at the first table although it did get a little warm in there! The power finally came back on around 1:00, that is a long time for me to be without a computer! LOL! I did manage to get some stuff done but not as much as I had wanted to. Guess I’ll have to kick it into high gear today! 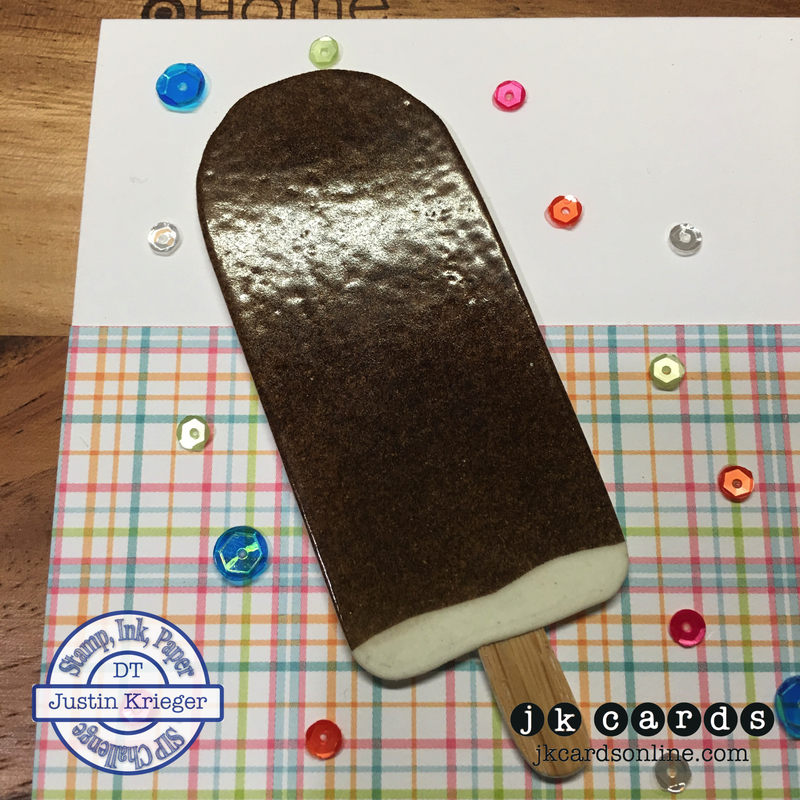 This entry was posted in Blog, Cards, Concord & 9th, Crafts, Embellishments, Embossing, Hero Arts, Lawn Fawn, Photopolymer, Pretty Pink Posh, Ranger, Stamps, Tim Holtz and tagged Card Making, Concord & 9th, Crafts, Hero Arts, Lawn Fawn, SIP Challenge. Bookmark the permalink. Such a cute card! That ice cream really does look “cool”! What a great way to make that ice cream bar look realistic! Thanks for yet another idea! Stay cool, my friend…oh, right, you are always Cool! 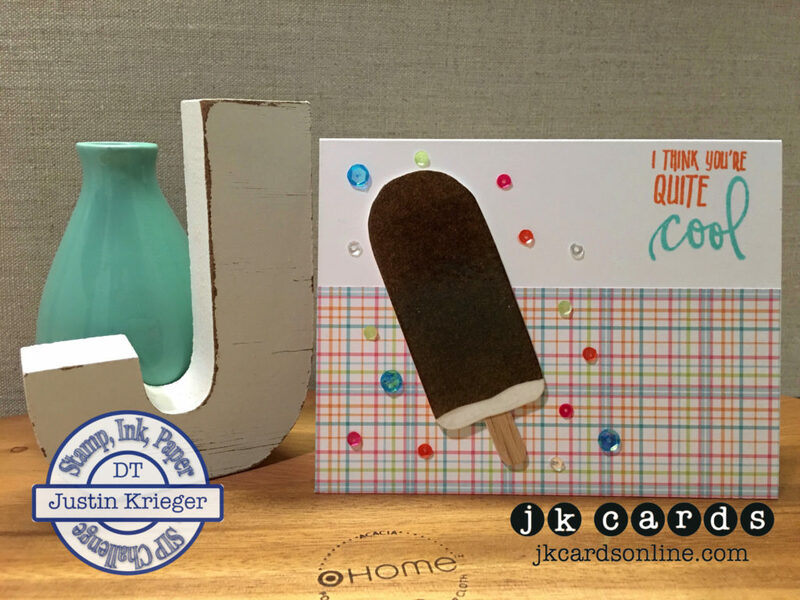 I bet you were inspired to make the ice cream card by the lack of electricity! I have to admit the embossing powder really did create a realistic chocolate layer on that ice cream. In fact, I’m headed to the grocery store today so I think I’ll pick up a package of ice cream. See what you do to me Justin? Now I’ll gain weight just from looking at one of your creations! LOL It is a super card that I know my little great nephew would love. He saves the ice cream sticks to “build” with. LOL! That may have had something to do with it! I wanted ice cream in the worst way after I made that card! LOL! I will not be held responsible for the weight gain! LOLOLOL! Your Nephew sounds like a very smart little boy! This is totally a fun, cute card, Justin. I love the plaid DSP, the glossy ice cream pop and the sequins. So cute!! Being without power is a bummer, even for a short time. Have a great day! Great card! And perfect for the extreme heat temps we are having!